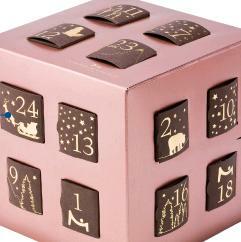 It is definitely a wonderful occasion to countdown for Christmas and Year end party chocolate calendar. A small window of 24 days for every day with different chocolate and oozing caramel when one bites on it. You will be able to enjoy and reward yourself to its every unique piece of chocolate. Why don’t you take this opportunity to enjoy and celebrate with your loved ones to see, to eat and to count the chic of cubicle window opener chocolate? This entry was posted on Tuesday, December 29th, 2009 at 10:54 am	and is filed under Wonderful Things. You can leave a response, or trackback from your own site.